Husky Liners mud flaps for your 2016 Ford F-150 are available from etrailer.com. Installation instructions and reviews for your Ford mud flaps. Expert service, and cheapest mud flaps price guarantee. etrailer.com carries a complete line of Husky Liners products. 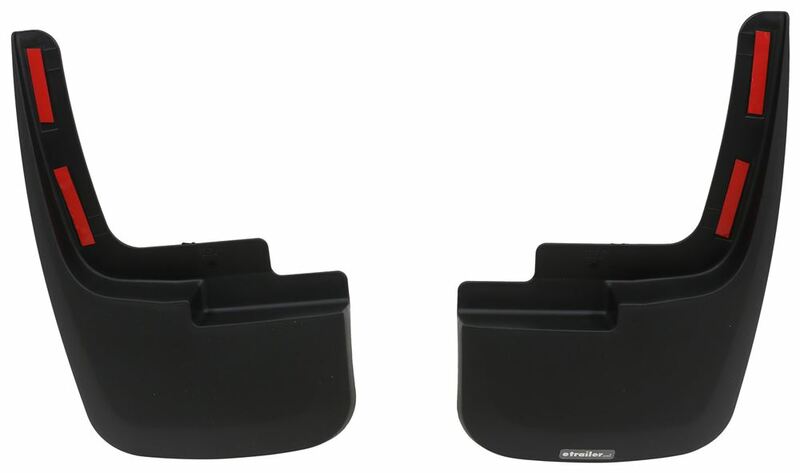 Order your Husky Liners Custom Molded Mud Flaps - Front Pair part number HL58451 online at etrailer.com or call 800-298-8924 for expert service. 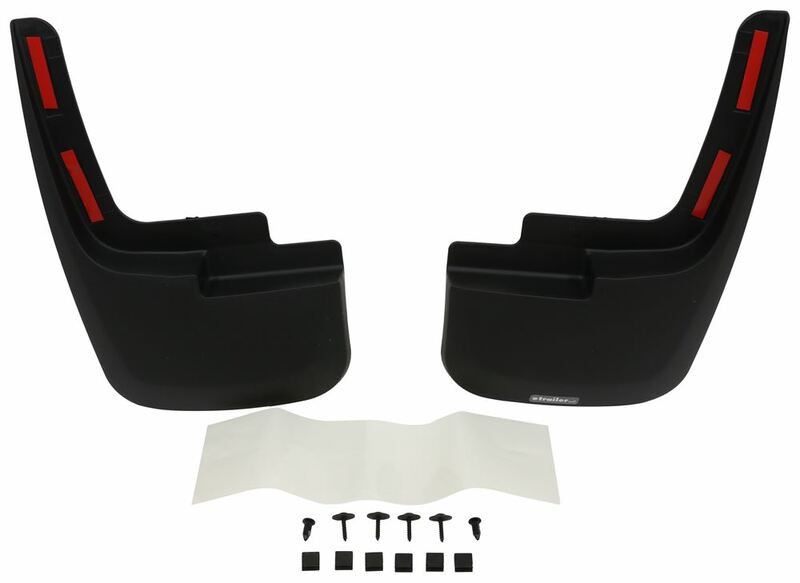 Protect your Ford F-150 from mud, rocks and road debris with this pair of mud guards. Extremely durable, thermoplastic construction is both weather and impact resistant. 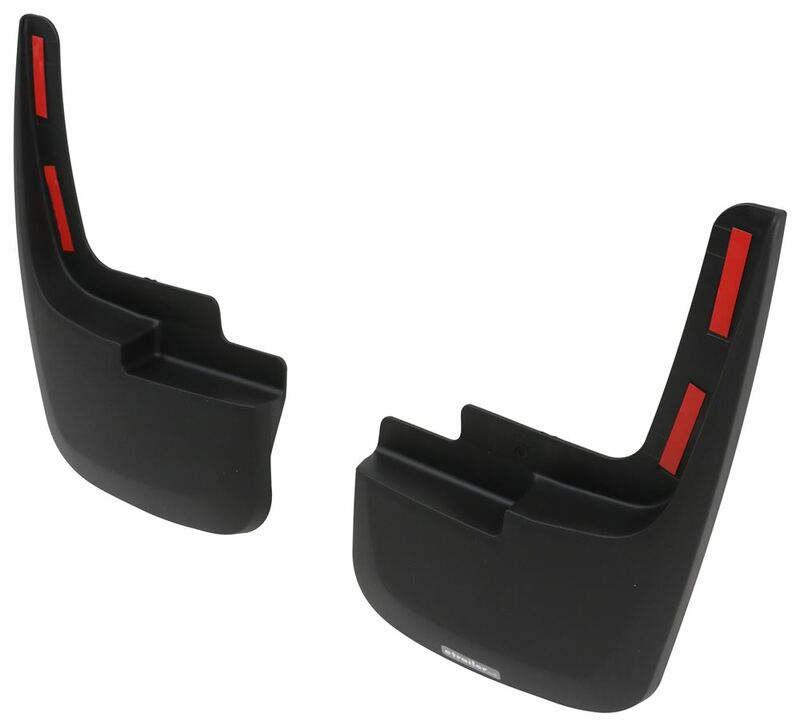 Sleek, contoured design and black finish pair for great-looking, functional guards. Husky Liners' custom-molded mud guards are tailored to perfectly fit your vehicle's front fenders. 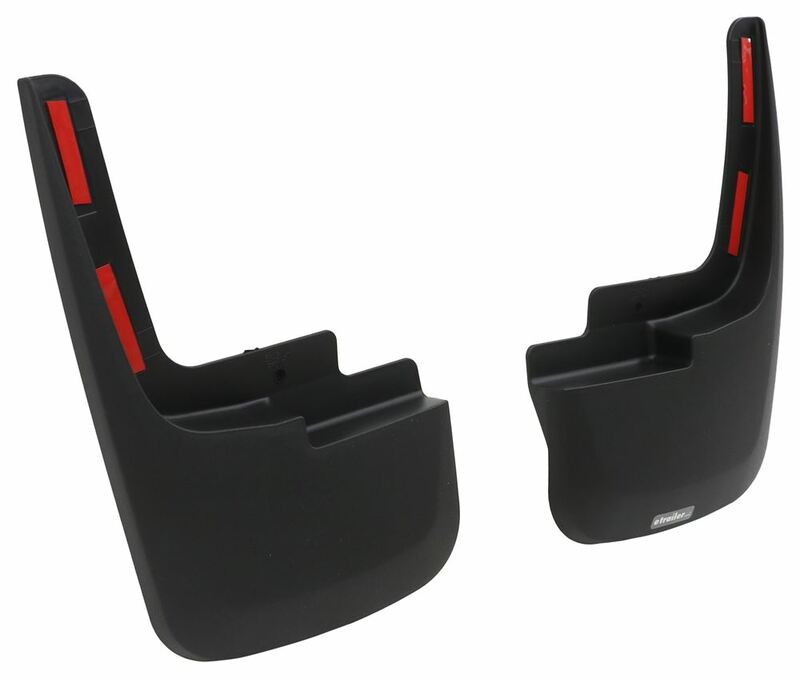 They are longer and wider than traditional, factory mud flaps, giving you a mud guard that looks great, fits great and provides the most coverage possible. Order: RelevanceNewestRating - High to LowRating - Low to High Protect your vehicle from mud, rocks and road debris with this pair of mud guards. Extremely durable, thermoplastic construction is both weather and impact resistant. 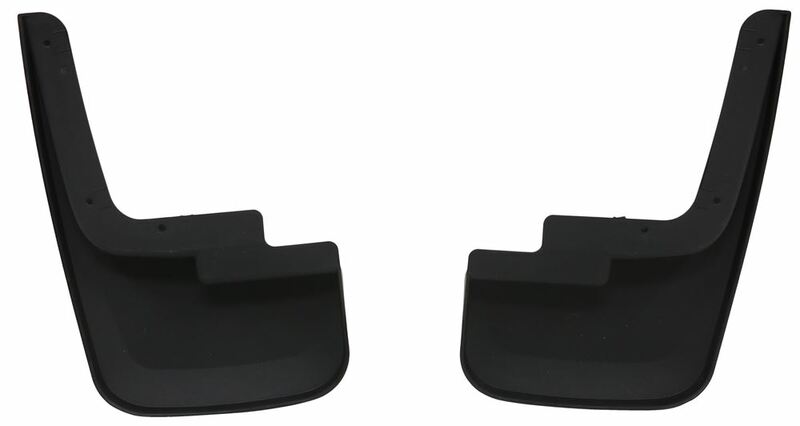 Sleek, contoured design and black finish pair for great-looking, functional guards. Working just fine. No issues. Working Fine. Both sets on 2 different vehicles work as designed. Basically you want to place the film on the fender where the mud guard will touch. Clean that area of the fender with a adhesive solvent. A solvent will insure there is not any residual wax, grease or dirt left on the area of the fender you will be placing the film on. After cleaning the fender, create a wetting solution with 4 ounces of liquid dishwashing detergent and 1 pint of water. Take the backing off the film and spray the sticky side of the film with the solution. Spray the fender with the solution. Place the sticky side down on the fender and flood it with the solution. Then press the bubbles out of the film with a sponge. Allow to dry before putting on the mud flaps. G_R_E_A_T ProductII Would recommend to all. After a year installed, these guards have kept the mud and salt off the side of my car. Say goodbye to rust and car washes every week!! Great product! Driving daily down a gravel round causes lots of stones and debris to flick up. No appreciable wear on no stone chips on the paint. Good product. It has been a year and the mud guards are secure. No problems. Thank you for the note and followup. Its a first for me from any company, frankly! The product is still as I stated, holding up like new, and just no problem whatsoever. Still holding up and look goood. The mud flaps still look great and have done a great job helping to keep the truck clean. Awesome product.